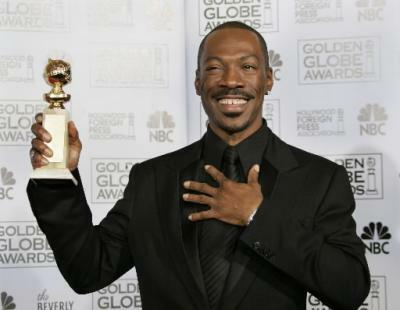 Eddie Murphy to host the Oscars….WTF! Filmaker Brett Ratner, who is producing the upcoming 84th Academy Awards next year is dead keen on Eddie Murphy as host for the next Oscars, he is so keen that he isn’t talking to anyone else about anyone else, it’s Eddie and that’s that! Eddie is currently starring in Ratners upcoming film, Tower Heist but the hosting deal isn’t final, in fact Ratner hasn’t even spoken to the Academy folk yet, but has pretty much told everyone else….only in Hollyweird does this happen? Personally, I’m a big Eddie fan circa 1980-1990….who better to host the Academy Awards, then BuckWheat, Mr Robinson and Gumby, bring it on! This entry was posted on Tuesday, September 6th, 2011 at 1:32 am	and posted in Uncategorized. You can follow any responses to this entry through the RSS 2.0 feed.